On January 30, 1945, in the thick of World War II, hundreds of American soldiers and Filipino guerrillas launched a daring and dangerous rescue mission that led to the liberation of at least 500 prisoners of war being held by the Japanese army at a concentration camp in Cabanatuan, Nueva Ecija. The event is considered as one of the most triumphant rescue missions in both U.S. military and Philippine history. The raid is made even more popular by the fact that although the rescuers were grossly outnumbered by the Japanese, they suffered only a few losses while the Japanese army lost hundreds of their soldiers. Official records say that 2 American soldiers died, 2 prisoners died, and 21 Filipino guerrillas were wounded. Between 530 and 1000 Japanese soldiers were killed during the raid. Four Japanese war tanks were also destroyed. 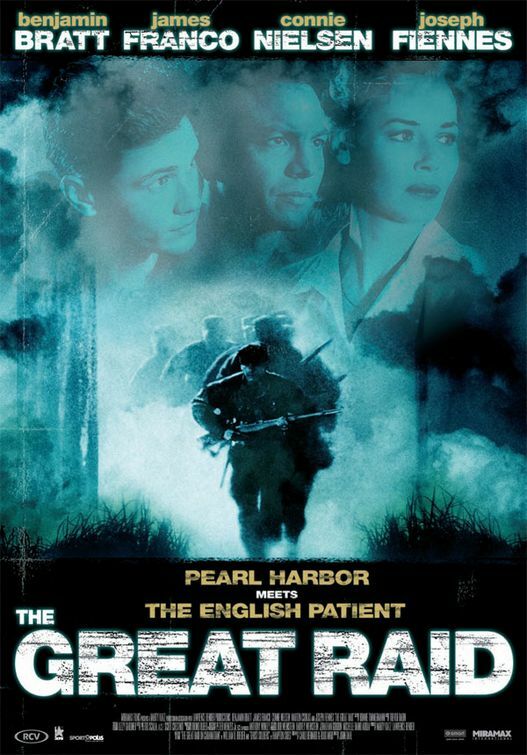 The daring rescue mission was the subject of the film The Great Raid which hit theaters in 2005. Directed by John Dahl (Rounders, Joy Ride), the film focused its attention on the planning and the eventual staging of the rescue mission. The movie starred Benjamin Bratt, James Franco, Sam Worthington, Logan Marshall-Green, Joseph Fiennes, Connie Nielsen, and Robert Mammone. It also starred Filipino actors like Cesar Montano, Paolo Montalban, and Natalie Mendoza. 1) The movie was shot within the months of July and November in 2002. It was originally scheduled to be released in the fall of 2003 but its release date was delayed several times. It eventually made its way into American theaters in August 12, 2005. 2) The makers of the film used two books as their major sources in developing the film. These are Hampton Sides' Ghost Soldiers and William Breuer's The Great Raid on Cabanatuan. 3) Filipino actors Cesar Montano and Richard Joson played the roles of Juan Pajuta and Eduardo Joson in the movie. Pajuta and Joson are the two Filipino soldiers who led the Filipino guerrillas during the raid. 4) The movie was filmed in Queensland, Australia. A replica of the Japanese concentration was built using photos and accounts about the raid. Asian students in Australia were hired to play Japanese soldiers in the film. One of the several promotional posters for The Great Raid. 5) James Franco who played Captain Robert Prince in the movie wrote about his experiences in making the film in a novel called Actors Anonymous which was published in 2013. 6) In the actual raid, Americans used a Northrop P-61 Black Widow fighter plane to divert the attention of Japanese soldiers while the American soldiers and Filipino guerrillas creep to the concentration camp. However, in the movie, the wrong plane was used. The aircraft used in the film was a Lockheed Hudson. This was because the makers of the film can't find a Northrop P-61 Black Widow that is still working. 7) The movie bombed at the box office. It only grossed $10,769,311 which is a far cry from its production budget that was a whooping $80 million. Learn more about the Great Raid in Cabanatuan here. Watch the official trailer for the film here.